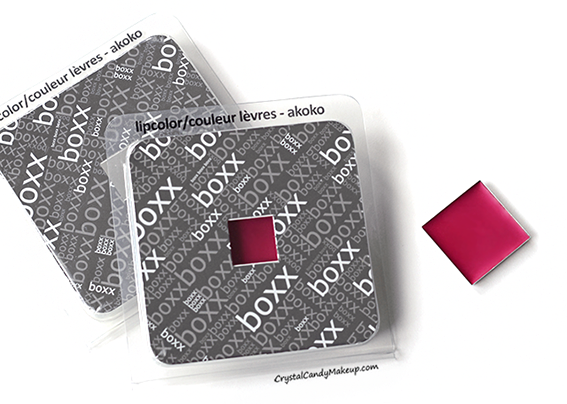 Crystal Candy Makeup Blog - Review and Swatches: Boxx Cosmetics Lip Color in Akoko + Giveaway! Boxx Cosmetics Lip Color in Akoko + Giveaway! 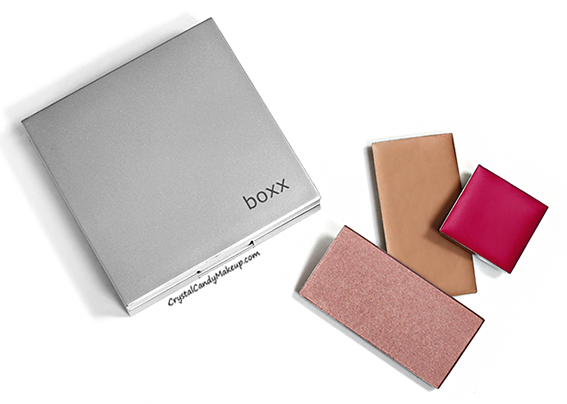 Have you heard of the brand Boxx Cosmetics before? The idea behind this product line is to customize your own palette with your favorites colors and reduce the amount of products in your makeup bag! Akoko is described as a fuchsia red. It looks different on my lips than in the pan though, it's a sheer berry red with a satin-matte finish. The staying power is surprisingly good for such a sheer lip color, but the texture isn't really my cup of tea. It feels a bit waxy and it's hard to build up the color. That being said, this lip color can also be used as a blush and I immediately fell in love with the color when I applied it on my cheeks. Akoko gives a translucent berry flush, it's gorgeous and it last all day! 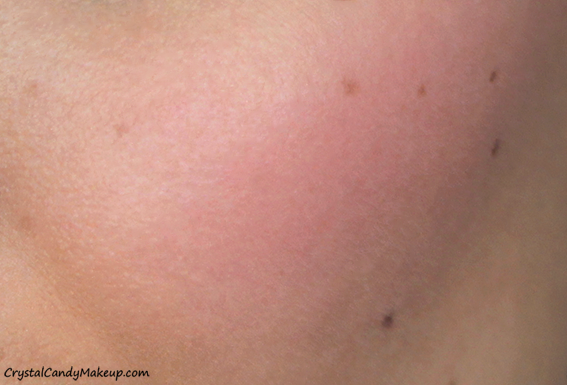 The texture is a bit waxy on the cheeks too but it doesn't feel overly greasy. I simply apply it with my fingers and it blends easily! You will like it if you love a sheer lip color, but I personnally prefer a highly pigmented and opaque lipstick. To me it feels more like a tinted lip balm than a true lipstick. I did love it as a cheek stain though and I'm glad I gave it a try because I know it will be on my cheeks quite often this fall! 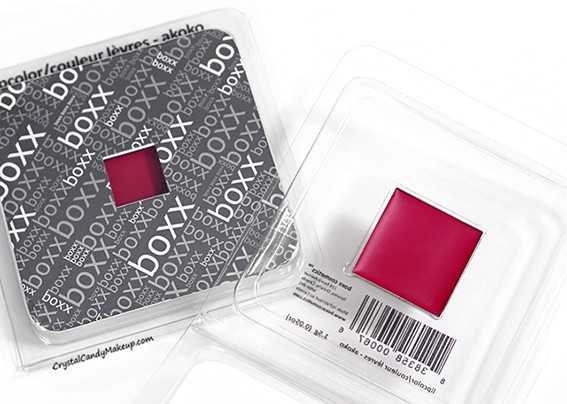 The Boxx Cosmetics Lip Color in Akoko retail for $18 CDN for 1.5g. Would you like to try this lipstick too? Just follow the steps below and you will get a chance to win a Boxx Cosmetics Lip Color in Akoko! Oh my goodness! I can't remember. I feel like I've been reading your blog forever!